Dexter Daily: POLL: What Did You Think of the First Teaser Trailer of Dexter Season 7? POLL: What Did You Think of the First Teaser Trailer of Dexter Season 7? 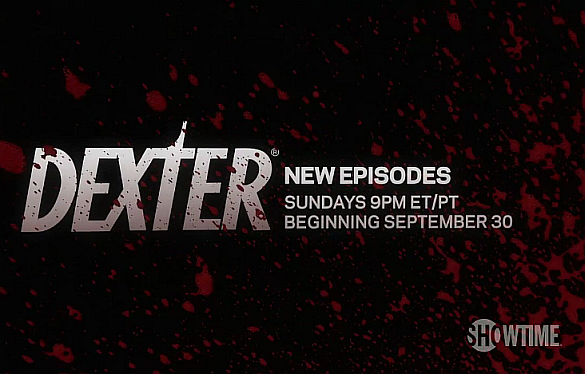 Showtime has finally graced us with the first teaser trailer of the forthcoming season of Dexter. A lot of things has been said for the Dubstep music at the end of the video and of course about the length of the teaser. Did you like it overall? Vote below! That was the worst Dexter teaser ever. Period. The teaser was clever, but I thought they were supposed to give you a taste. I feel like I just tasted air, compared to last season's. Hopefully they give us more of a tease soon. Maybe, given what happened at the end of the last finale, they can't tease too much without giving something away. Good grief ...people just have to complain about something ...wah wah wah ...boo hoo ..."it wasnt what I wanted" ...take what is given and be happy you got it ...IT'S DEXTER people ..come on!!! It was just good for what it was, but a teaser is never meant to really give anything away. Doesn't really matter, as I will be watching regardless of what the teasers show/don't show. Death would be the only thing that would keep me from watching season 7. Let's hope I do get to see it, knock on wood.